Kate is out of Leslie Whitney’s Pearl and by Monica Percival’s Bonus. Kate. Our super star. It goes without saying that she is brilliant. She is 7 and has accomplished so much. In 2013 she won Large Dog Agility at the Purina IDC Eastern Regional. She also won the weave pole challenge that same day. Then she went on to win the National Championship as well in 2013 and 2014. Kate was the Quadruped National Series winner before she was 2 years old. She was the first dog to ever catch over 100 yards. She currently sits in third for the longest catches, behind Bayer in 2nd. Then Kate and Gary broke the World Record in the UFO D-tour with a 109 yard catch, that same catch also won them the 2014 North American D-Tour Championship and then 2015 D-Tour Championship as well. That makes Kate a National Champion in Disc (3x) and Agility (also counting winning games at 2013 US Open). I’m so thankful I get to train such a brilliant dog. 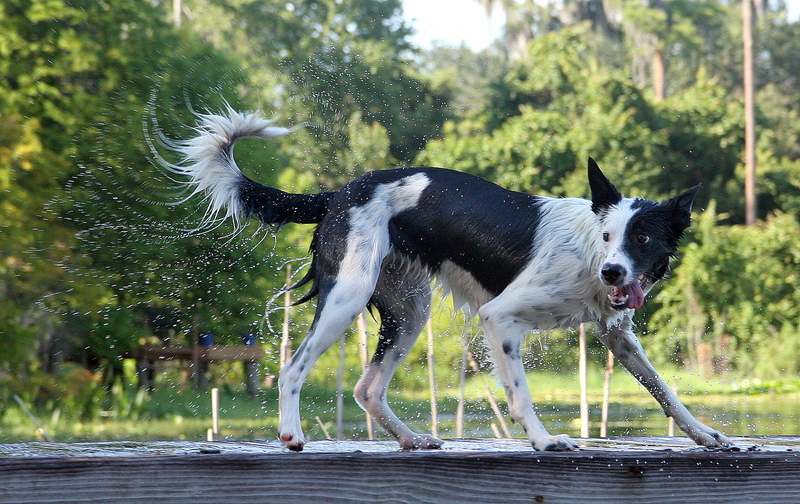 We focus on agility/herding/disc, but Kate thinks dock diving and obedience are really cool too.